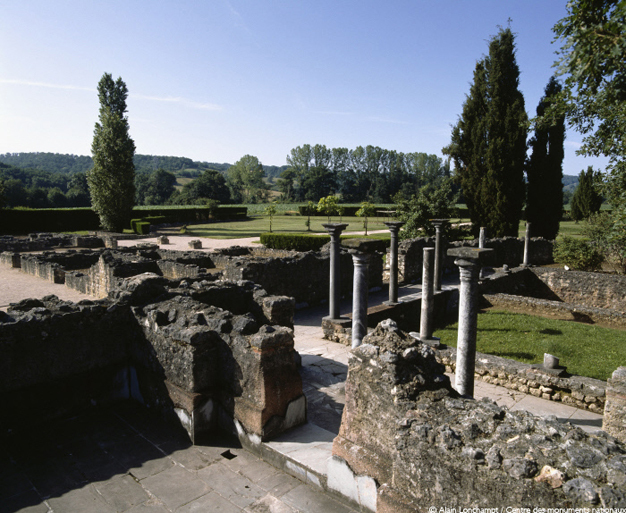 Fully excavated and open to the public, the archaeological site of Montmaurin is a rare example of an aristocratic villa and makes a compelling visit for understanding life in Roman Gaul. A villa has stood on this site since the 1st century, after the Romans invaded Gaul, but it underwent stylistic and architectural modifications until the 5th century, showing how strong the influence of Roman culture and lifestyle was in southwest Gaul during Late Antiquity. The fine materials used, especially in the construction of the baths, the rigorously planned footprint and the impressive number of rooms show that Montmaurin was a veritable country palace. Once the excavation was completed, the villa was restored to its original state in the Later Empire and the site was landscaped to provide an entertaining visit and offer a very clear picture of the remains, shedding light on this type of monument, especially for school groups.